A few days ago I was in urgent need of 160 grams of 'ginger preserve'. A cake recipe demanded it and I really wanted to make that cake. I searched all the supermarkets at home to no avail. 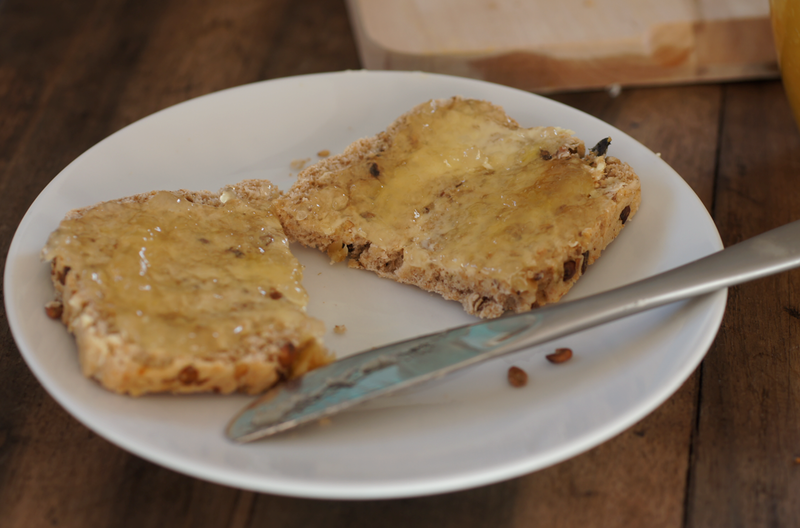 I started a long trawl through websites to find a good recipe but couldn't decide on one I liked and my lack of experience with jam stopped me going out on my own. In the end I was standing in Migros and just decided to get on with it and make some. 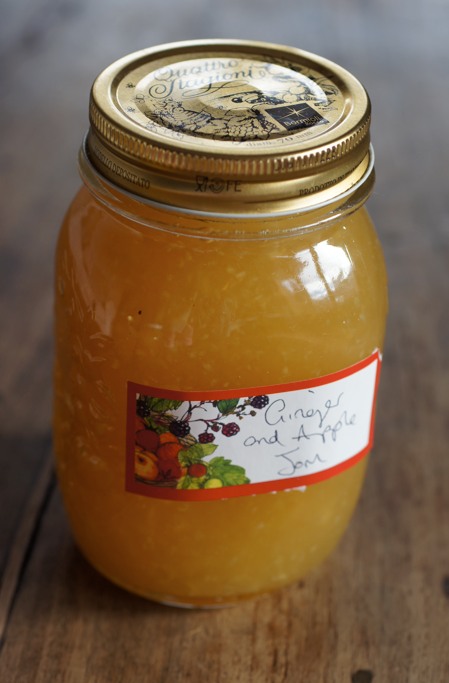 I grabbed some fresh ginger, a bag of cooking apples and a packet of jam sugar. This is based loosely on one recipe I found but is mainly an experiment and a mish-mash of various ideas I came across. I didn't have a clue how much ginger I wanted to add, so I just guessed. 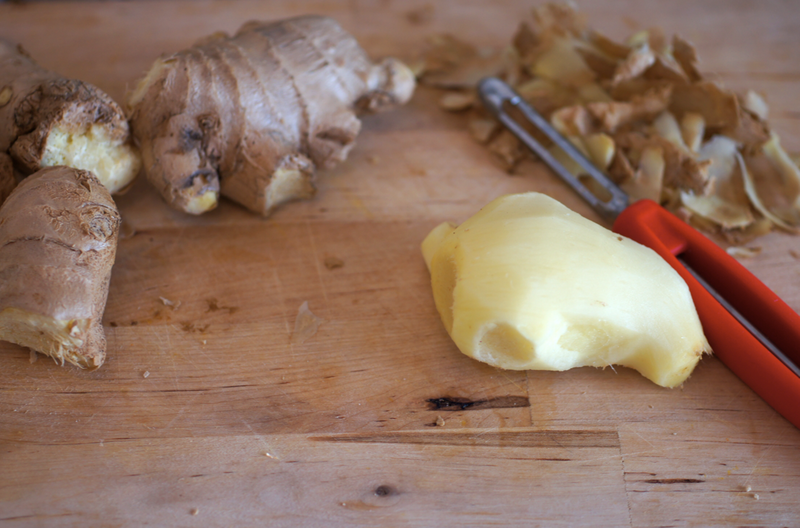 Luckily it didn't come out incredibly fiery - it seemed like an awful lot of fresh ginger. I'm so pleased I decided to make this jam - it came out really well. It's very clean and fresh and not too sweet yet still warming from the ginger kick. It's got a fairly soft set and a lovely texture. 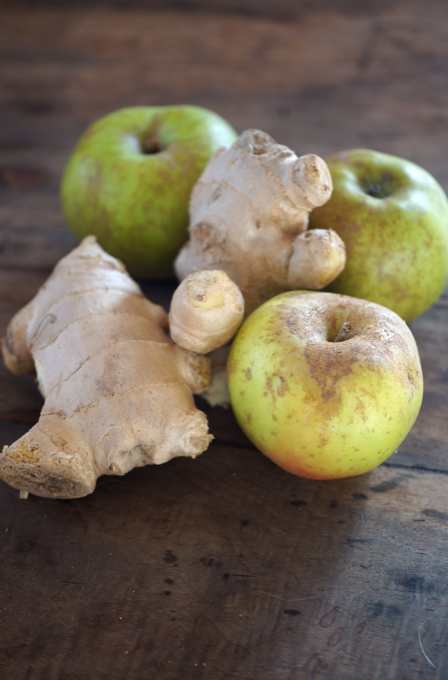 You get the subtle apple flavour at first, followed by the ginger warmth at the back of your mouth. Mum has declared it to be her new favourite jam flavour. Cut the peeled ginger up into chunks and put into a food processor and pulse until it's pretty finely chopped (bit like cous cous). Pour the water and lemon juice into a big saucepan and add the ginger, swirling it around. Start peeling and coring the apples and chopping them into small chunks, adding them into the pot as you go. When you've finished, turn the heat on under the pan and cook the mixture on medium-high until the apple chunks are soft. Get a potato masher and mash the mixture until smooth (you could blend it instead). Stir in the sugar and heat until dissolved. My jam sugar then requires you to boil the mixture on a very high heat for four minutes then leave it to cool. Follow any instructions you're given with any other gelling agent or keep heating on high for 20-30 minutes until the mixture reaches the right consistency. To check consistency, put a saucer in the freezer to chill, then take it out and put a teaspoon of jam onto it. Put it back and it should form a skin within five minutes or so. Follow your favourite method of sterilizing jars (I put mine in the oven) then jar the jam. This sounds really delightful and different. 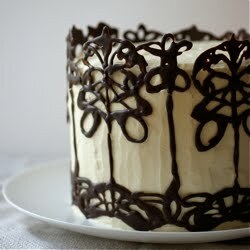 You are such a spontaneous and courageous baker! I've made jam only once or twice in the past so I admire your willingness to go that extra mile in to obtain the critical ingredient. Lovely! I love ginger and this jam sounds so good! Wonderful flavor for the holidays and will go well with holiday cakes. I saw your post and it jumped up and grabbed my fancy - i just had to run home from work and try it out for myself. (as an aside - i must have looked ridiculous making jam at 10pm. no wonder my husband was making fun of me. it turned out great though just one question - i halved the quantity but i still got more fiery ginger than apple. is that a function of what i did or is it supposed to be more ginger than apple. That bread looks selfmade. Did you bake it yourself? If yes, what recipe did you use? 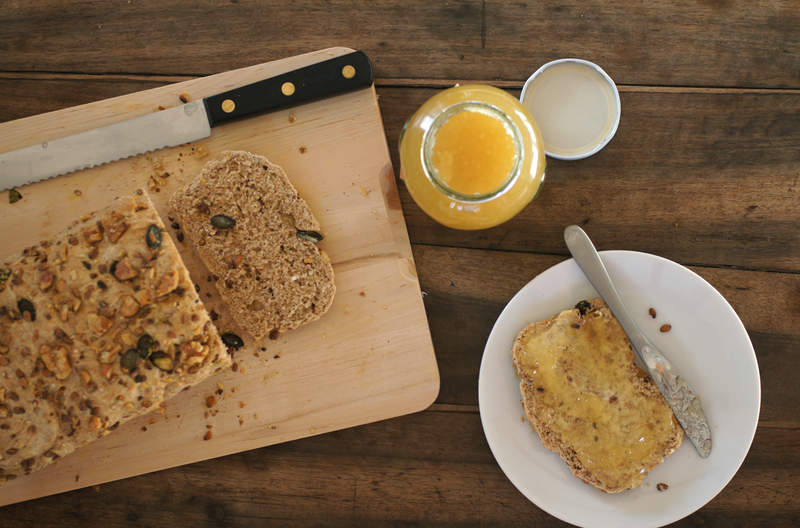 Do you often bake your own bread? Ginger and Pear also works wonderfully!